Get some interior ideas and inspiration on how to use our furniture in different ways around your home. And find out some of the stories behind the designs of some of our exclusive furniture pieces. Bedside Tables: Small Bedroom Ideas – No space for a full size bedside table in your room? No worries, take a look at our narrow bedside tables and other smart bedroom storage ideas for the most compact of spaces. 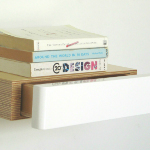 Floating Shelves for Decoration and Storage – Learn more about how and where you can use floating shelves around your home. 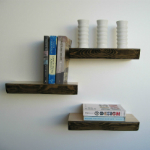 Get ideas for using them as decorative features, to give you valuable extra storage – or both! 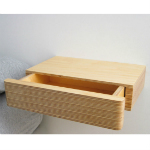 Pacco Floating Drawer: The Background Story – Find out more about how the design for this best-selling floating drawer with shelf came about.